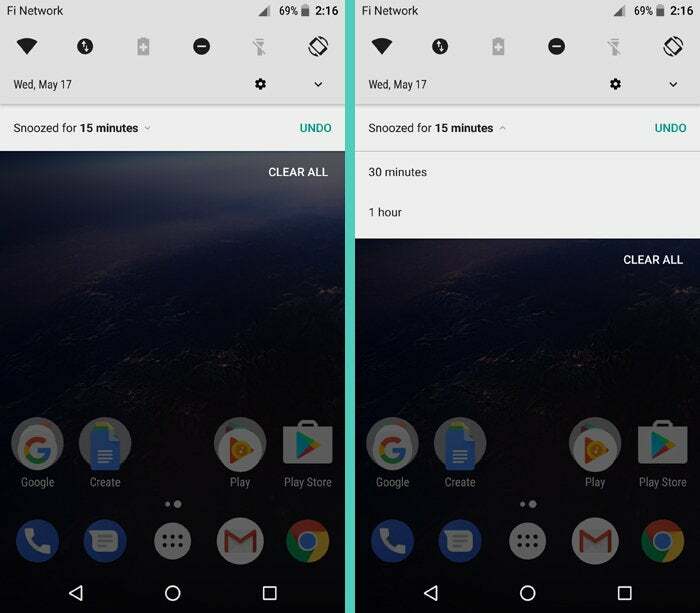 After a week with Android O's first beta release, two new features stand out above the rest when it comes to productivity-boosting potential. With Google I/O officially behind us, it's time to start looking forward -- and that means time to start thinking in more detail about the next major version of Android and what it'll mean for us. Google Home and Photos may have stolen the show at last week's conference, but the already-under-development Android O certainly had its share of the spotlight. 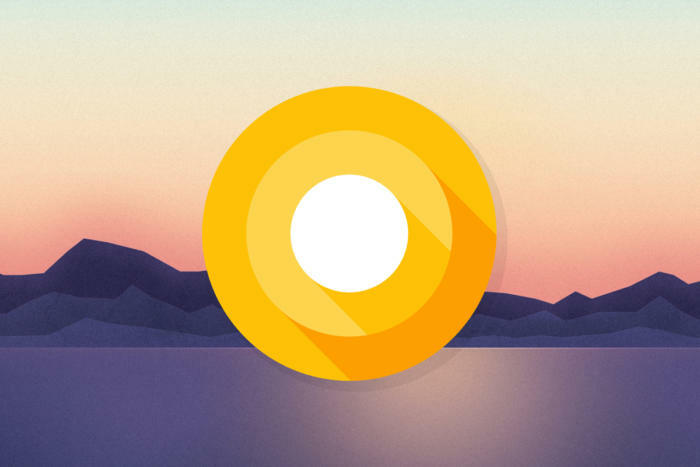 We've known about Android O for a while now, of course -- ever since the first developer preview of the software plopped out back in March -- but at I/O, Android O officially entered its beta phase and became readily available to anyone with a recent Nexus or Pixel phone. Android O isn't quite ready for public consumption, mind you -- it's still a bit rough around the edges, and if you use it enough, you're bound to encounter areas that don't yet work as intended -- but the software is now close enough to its final form that you don't have to be a total daredevil to try it out on a phone you're actually carrying. You knew this one was coming, right? I've been talking about my burning desire for native Android notification snoozing ever since I fell in love with the snoozing function in Google's Inbox app many months back. With Android O, my wish is a reality. When you see a notification in O that's important but not something you want to deal with immediately, you can simply swipe it slightly to either side to reveal a new clock icon. Tap that icon, and ta-da: You'll find the option to send the notification away and have it reappear a little while later. By default (for now, at least), Android O snoozes all notifications for 15 minutes. Tap the little arrow next to that time, though, and you can opt to change the window to 30 minutes or an hour. Ideally, I'd love to see even more robust snoozing options, like what we have in Inbox -- things like the ability to snooze a notification until a specific time and date or to set a notification to reappear when you're in a particular location -- but remember that this is still only the first beta version of this feature. What we're seeing now is a powerful first step toward making alerts more useful. Think about it in real-world terms: Let's say you get an important Slack message while you're in a meeting -- maybe something from your boss asking you to call her when you're free. You read it, but you know you won't have a chance to deal with it for another half an hour. And you don't want to forget. 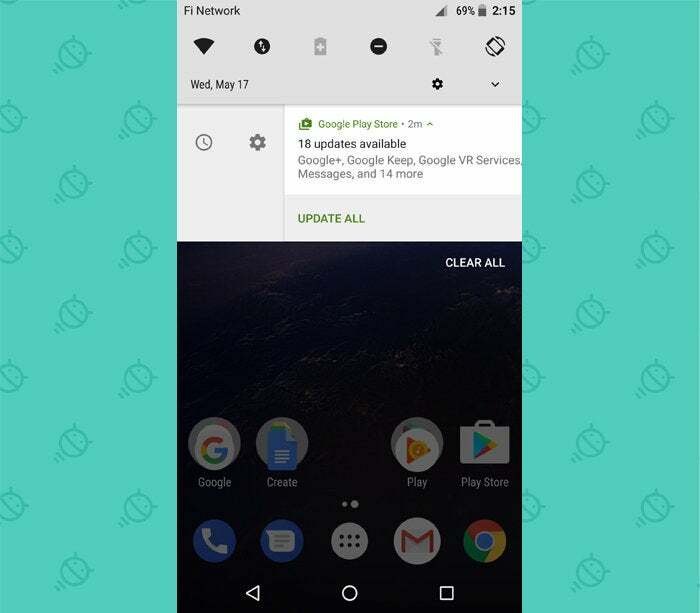 Now, instead of having to awkwardly leave the notification in place and hope it catches your eye again -- or, if your brain is as perpetually frazzled as mine, set a separate reminder for yourself as a fail-safe -- you can simply swipe that notification to the side and tell Android to bring it back to your attention in 30 minutes. Easy peasy, right? From a productivity perspective, this really may be Android O's most impressive feature. 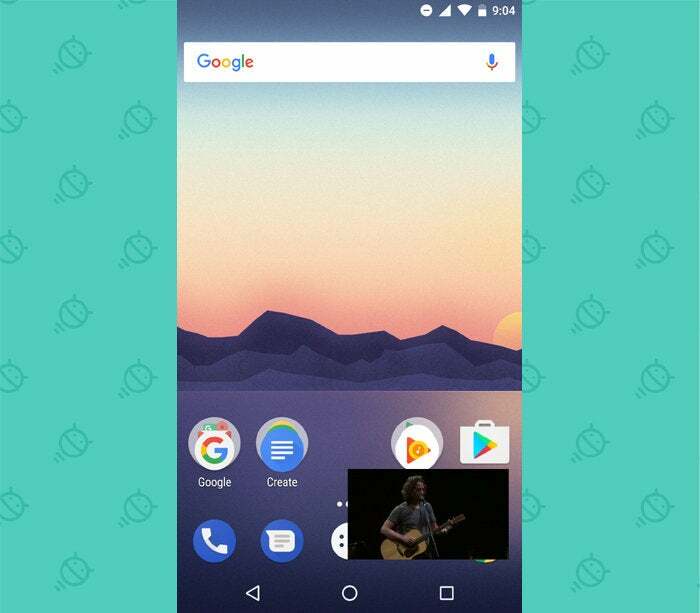 Android's had a native split-screen function since last year's Nougat release (and third-party manufacturers have been baking that sort of feature into their own software for even longer), but Android O's picture-in-picture mode is a much more practical way to multitask on a smaller-screen device when it comes to a limited and specific set of tasks. The way it works is pretty thought-free and automatic: Imagine you're watching an important professional development video in YouTube (because that's the only type of video you'd ever watch from your work phone, obviously) -- and you decide you want to send a message to someone or go look something up in Chrome without stopping playback. 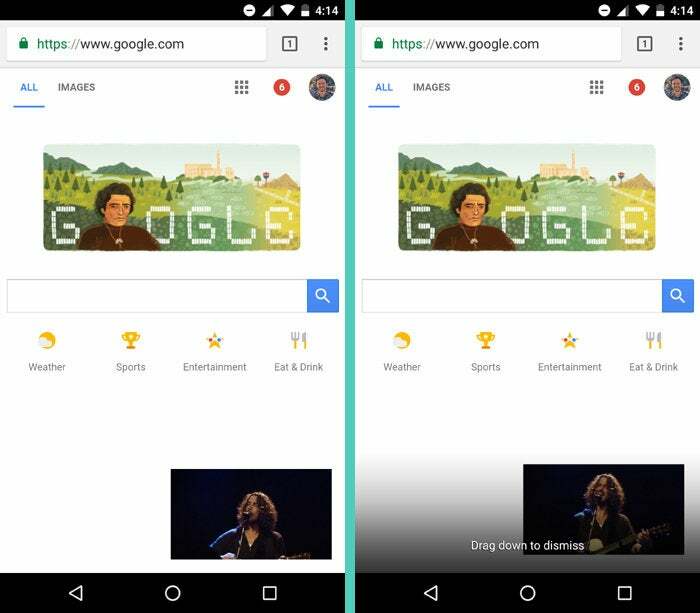 Just hit your Home or Overview key, and bam: The video will shrink down into a small floating box over your home screen or recent apps list, and you can go about your other business while continuing to watch. Open any other app you want, and the floating box will remain in place. You can even drag it around the screen to position it wherever you like. And when you want the box to go away, you just fling it toward the bottom of your screen to dismiss it. With YouTube, it looks like you'll have to have an active Play Music/YouTube Red subscription in order for the option to be available. But picture-in-picture mode itself is a system-level feature, so YouTube is but one example of how the technology could end up serving you. Two other apps with confirmed picture-in-picture support in the works are Netflix (for obvious purposes) and Maps (for keeping navigation on your screen while you do other things), though neither works for me just yet. Google's Duo chat app also apparently supports the feature already, but -- well, y'know. With any luck, more titles will get on board once Android O is actually out in the wild. The simplest way to think about picture-in-picture mode is as a less space-consuming and interface-disrupting way to view multiple things on your screen at once. It won't make sense for everything, but with certain scenarios, it's easy to see how it could enhance your productivity (and/or time-wasting) potential. And that's exactly the sort of feature I get excited about, my Android-toting compadres. We can talk all day about the theoretical performance improvements and stamina enhancements every company promises in every OS release, but it's the practical touches -- the ones that make our lives easier in small but meaningful ways -- that really add up. If you've chosen a phone from a manufacturer that makes timely upgrades a priority, you've got some promising stuff to look forward to this summer.